With the need to expand, All-Star Baseball Academy hired Plank Construction Services to design and build a new 35,000 SF indoor baseball training facility. 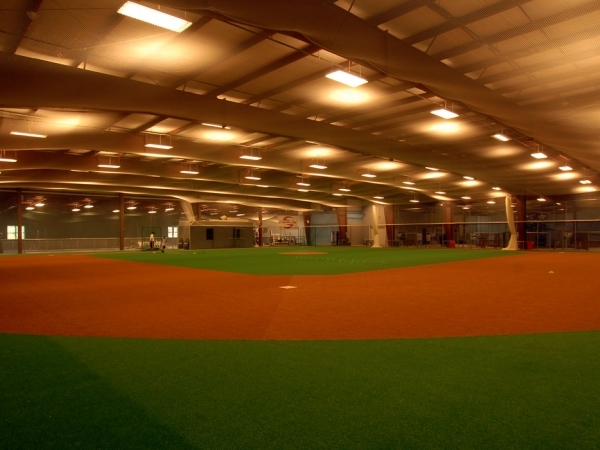 The new facility allows for year-round training on an indoor, full-size, major league infield. The facility also offers four full automatic batting cages, six live pitch batting tunnels and two tunnels dedicated with real mounds for year-round pitching. In addition, athletes have an area dedicated to strength and agility including an exercise and warm up area. Parents, family and friends can watch infield play from the indoor bleachers or enjoy refreshments at the concession stand and eating area. The project took six months to complete.